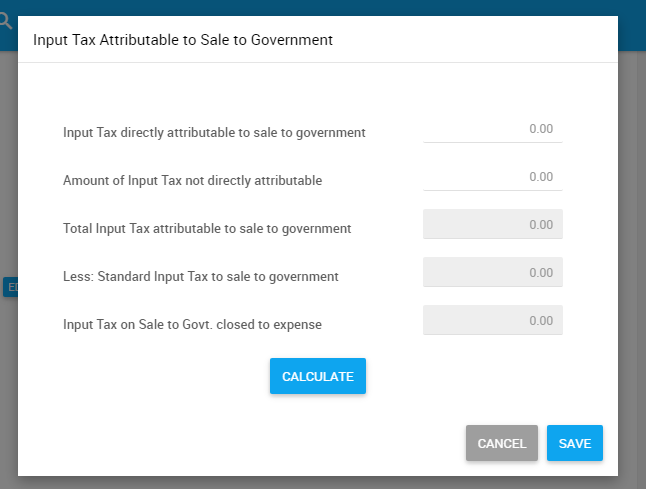 Be able to calculate your VAT on Sales to Government within the Xero Integrated version of JuanTax. Any government owned and affiliated corporations are also subject to Value Added Tax. This section can be found on Schedule 4 (Input Tax on Sale to Govt. ) of your VAT form. To access Schedule 4, you first need to create a transaction in your Xero account then use tax rates pertaining to "sales to government". In this example I used Sales to Government (Goods) (12%). After you had paid the invoice you can go back to your JuanTax account, and once you've generated a report, you'll notice that in the Summary tab, the Input Tax on Sale to Govt close to expense section is now editable. Click the Edit Schedule 4 button to continue. In the Input Tax Attributable to Sale to Government window, you need to enter the amounts in the text boxes then hit Calculate. Once finished, click Save button for those numbers to appear in your VAT report. You can refer to this article to learn more about the formulas needed in completing Schedule 4 of your VAT report.